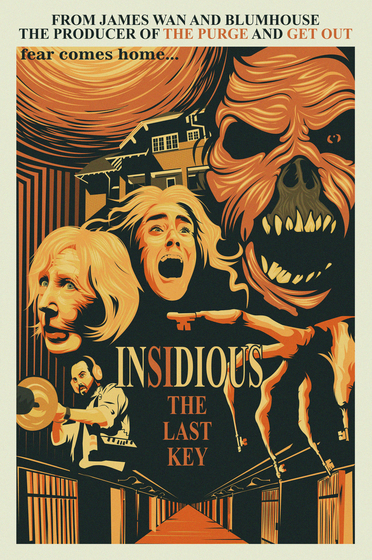 "Insidious: The Last Key" is the latest installment in the Insidious franchise. In the supernatural thriller, Dr. Elise Rainier, the brilliant parapsychologist, faces her most fearsome and personal haunting yet: in her own family home. Lin Shaye leads while being joined by Angus Sampson and Leigh Whannell. They welcome to the cast Josh Stewart as Gerald Rainier, Caitlin Gerard as Imogen, Kirk Acevedo as Ted, , Bruce Davison as Christian, Spencer Locke as Melissa, Tessa Ferrer as Audrey, Ava Kolker as Young Elise, Hana Hayes as Elise as a teen, and Marcus Henderson as Detective Whitfield.